Now is the time to get your lawn in shape for the summer season. The snow has melted, the sun is out, and your lawn will be the center of attention not just for you, but for everyone that comes across it. You might have already noticed signs of neglect, such as leaves left behind from the fall and overgrown grass from last summer. The first step is to clear away all debris, such as sticks, dead grass, leaves, and garbage. 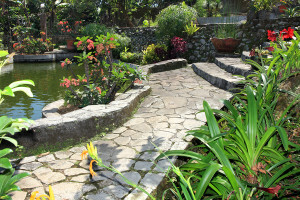 The first step in landscaping is to clear away all the old remnants from seasons past. By using an easy four step process, your yard can be ready in no time. First start off by removing all garbage that has blown onto your property. Secondly, rake up any leaves left behind and pick up any large tree branches that may have fallen during spring storms. Next, give your lawn a nice healthy mow and bag up all the excess grass. Finally, take all the bags of lawn clippings to a proper disposal site. It’s always fun to have that lawn that stands out and catches the attention of those that walk by. 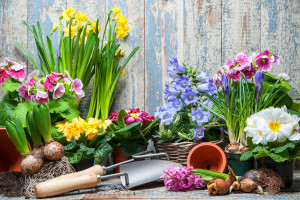 An easy, colorful, and practical solution to breathing new life into your lawn is by adding a garden! 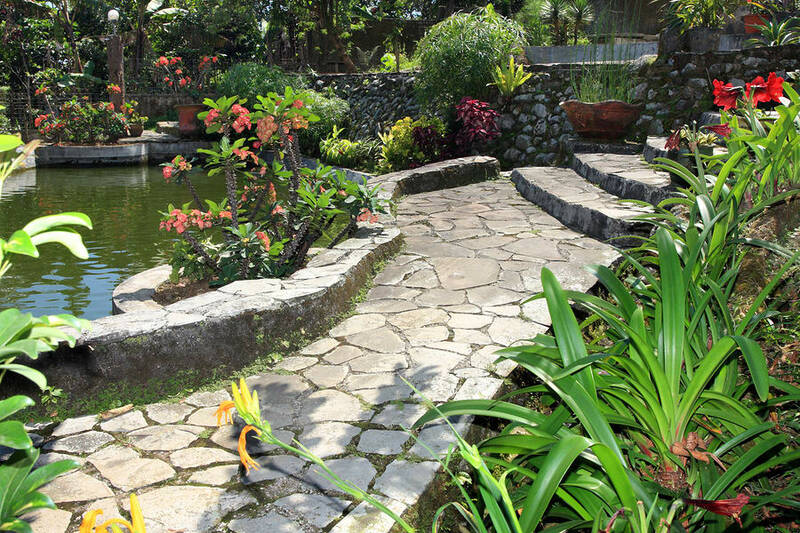 A garden can help create a beautiful backyard space. You can plant flowers or vegetables in a designated area. Get crafty by adding a fence, bird feeders, and wooden signs all around it. Be unique by adding lights around trees and fences. You can capture the sun by drilling holes into your fence and adding colored marbles. These will reflect gorgeous colors all across your yard when the sun catches them. You can also add string lights in trees and place lights along pathways to make it safer and more sophisticated. This won’t only make your home safer, it will also look more sophisticated. This helps to create a homey feel. Finally, leave the landscaping to the professionals when working on bigger projects, such as brickwork, patios, and walkways. The professionals will use the highest quality materials to help create a unique brickwork design that will capture and delight you, your family, and your guests! Professionals will work with you to incorporate your ideas with their experience in order to create the backyard of your dreams. Patios and walks are some of the defining aspects of a backyard landscape. Professionals can help you to create a beautiful outdoor gathering space. It’s all about the aesthetic appeal and they know exactly what materials to use and patterns to create in order to create the best space possible for you and your family. There is no reason to have a sub-par lawn this time of the year. The weather is perfect for landscaping. A front lawn and backyard in tip-top shape not only increases the value of your house, but it also makes you feel better about living there. You’ll be more inclined to have people over, spend time outdoors, and breathe in the fresh air. A well taken care of yard is one of the keys to happiness. Therefore, don’t delay and get it taken care of right away.